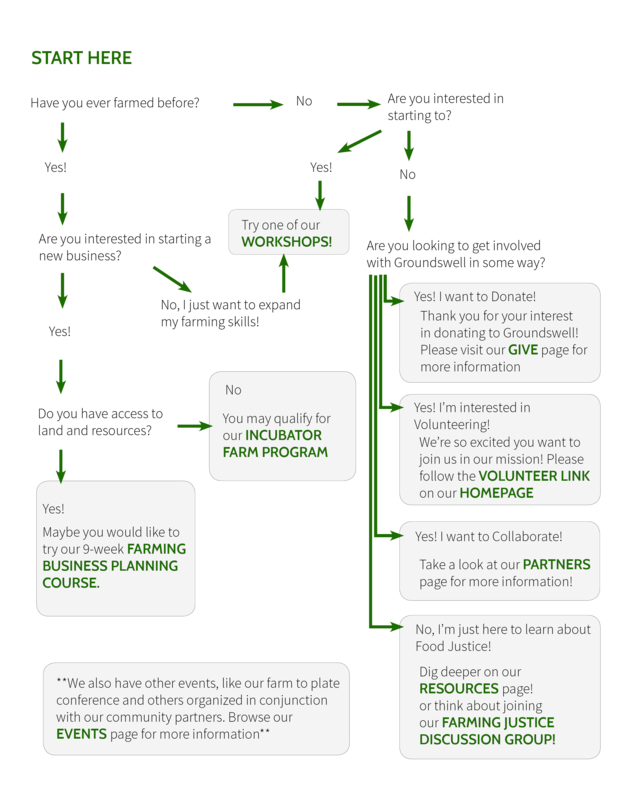 Groundswell Center for Local Food & Farming works toward building a more sustainable, just food system for all. We do so by Supporting beginning farmers, Creating affordable land access, Collaborating for Food Justice and Equity, Fostering Sustainable Farming, and Educating for Success. Get involved through our workshops, course offerings, and other programs below.